Do I read blogs? Sometimes. Do I follow any? A few. The truth is, I’d rather curl up with an old-fashioned book. Yes, I am of that generation. Still, I have a Kindle and like it, and I spend plenty of time on the computer. Like everyone else, I pick and choose, constructing my life with what’s available, and for the most part, I feel grateful for the choices. That doesn’t mean I always appreciate the bombardment of information, commentary, advertising, and propaganda that being connected presents me with on a daily basis. All those ingredients can lead to a veritable stew of confusion. Sometimes, though, they come together just right. Whether in a slow simmer, an explosive boil, or a quick sear, when we aren’t afraid to throw what we find into the pan, clarity, inspiration, and understanding can come. Here’s to potluck. 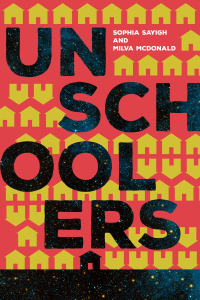 Good job in your post “Is socialization overrated?” Most of the folks who wonder/worry about homeschool socialization are so deeply socialized/conformed by their institutional upbringing that they cannot think very far out of it. They have forgotten that the history of humankind has been largely via parent-led home-based education of the next generation. They also forget that there is not a whole lot to brag about in general US society today after about 120 years of the large majority of Americans being brought up in peer-segregated, institutional, expert-run schooling.